Did you miss the Scrat Short in-theaters this weekend? 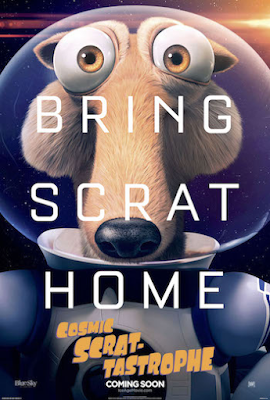 Blue Sky Studios and 20th Century Fox have released the full COSMIC SCRAT-TASTROPHE short featuring ICE AGE's Scrat! The consequences of Scrat’s antics are always momentous, and this time he’s creating his own version of the Big Bang. Scrat journeys where no ICE AGE character has gone before in COSMIC SCRAT-TASTROPHE. The consequences of Scrat’s antics are always momentous, and this time he’s creating his own version of the Big Bang. Showing in 2D and 3D exclusively with The Peanuts Movie, in theaters on November 6.